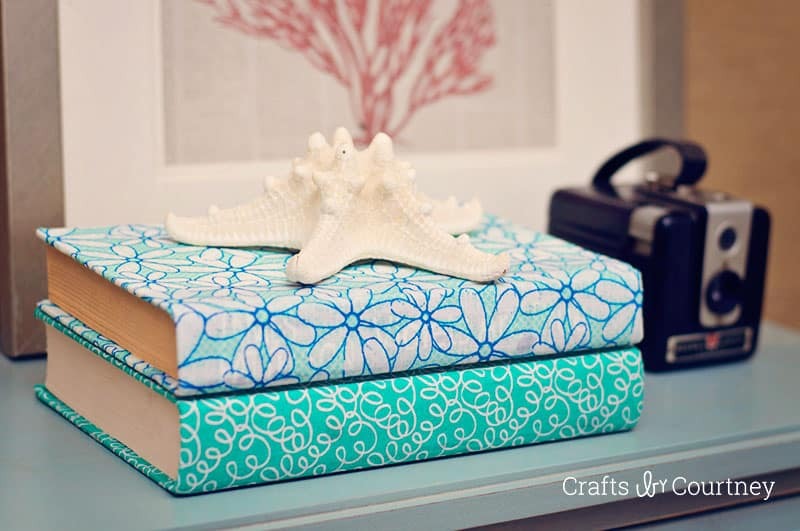 Use a special Mod Podge formula to create these fabric covered books – perfect for unique home decor, and you can customize the colors! 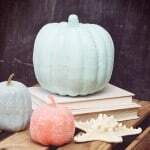 This week I'm sharing a simple book makeover. I'm sure we all have extra books laying around the house. To be honest I'm kind of obsessed with buying books. I have boxes full of them. 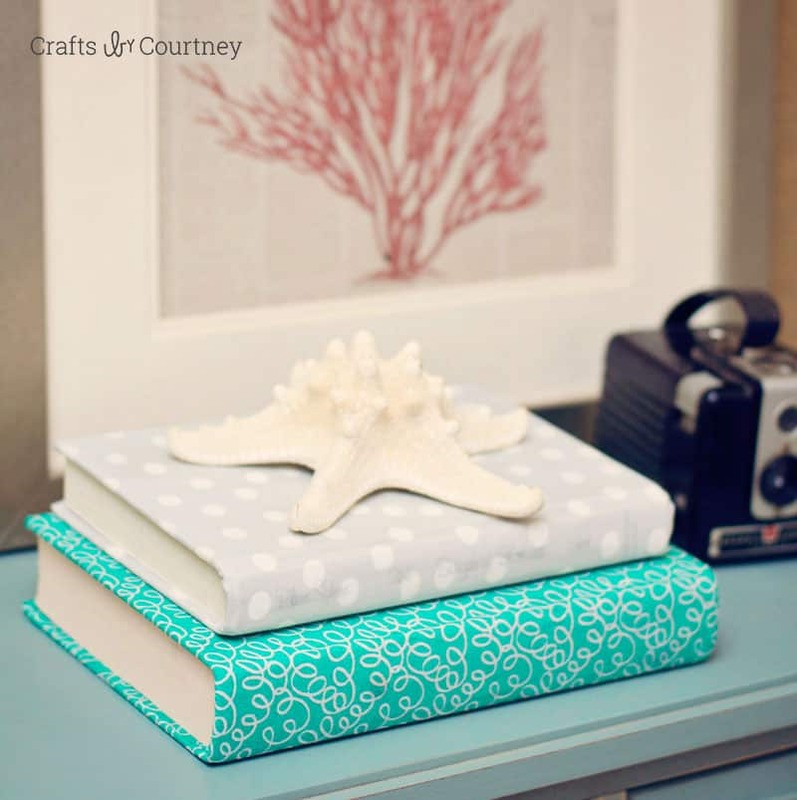 When I started decorating my home with a coastal vibe I pulled out all my lighter colored books to display. I hated not displaying the darker books but they just didn't fit my decor. 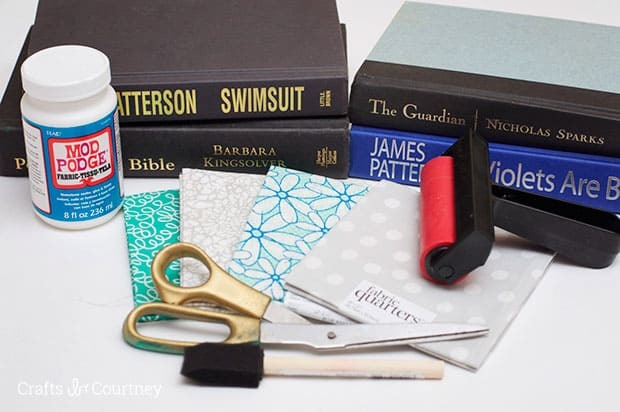 So I decided to give some of the darker books a makeover with some fabric Mod Podge. I headed over to the fabric store for my material. I was really excited when I found a sale going on. Fabric quarters were $1.25 each, perfect size to cover my books. Then I gathered up the rest of my supplies to get started. I decided on a couple lighter patterns and a couple “busy” patterns. I ironed the material first so we wouldn't see any wrinkles. Then I was ready to add my Mod Podge. 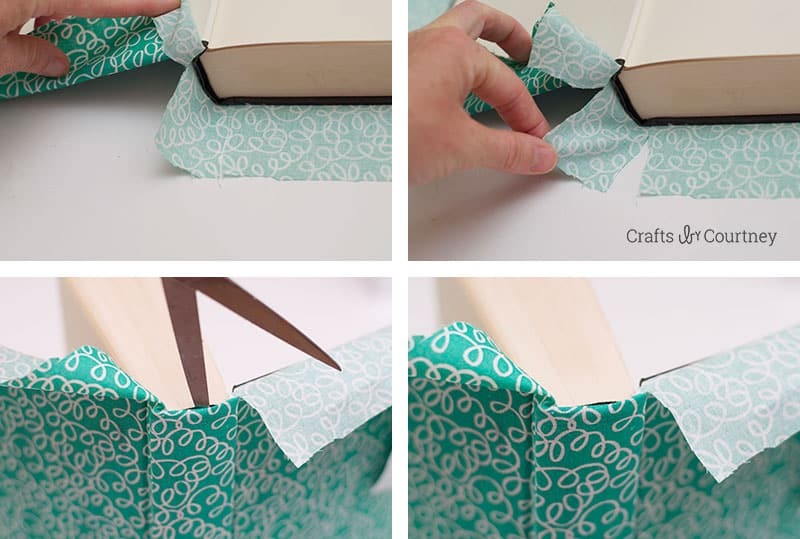 Cover one side of the book with your Fabric Mod Podge then gently place your fabric on top. I used a roller to help get any bubbles out. Then I did the same on the other side. Letting it dry just a moment. I love that this stuff dries super fast. Now It's time to cut 2 slits on each side of the spine. Then I tucked the piece of fabric into the spine of the book. It's fit perfectly! 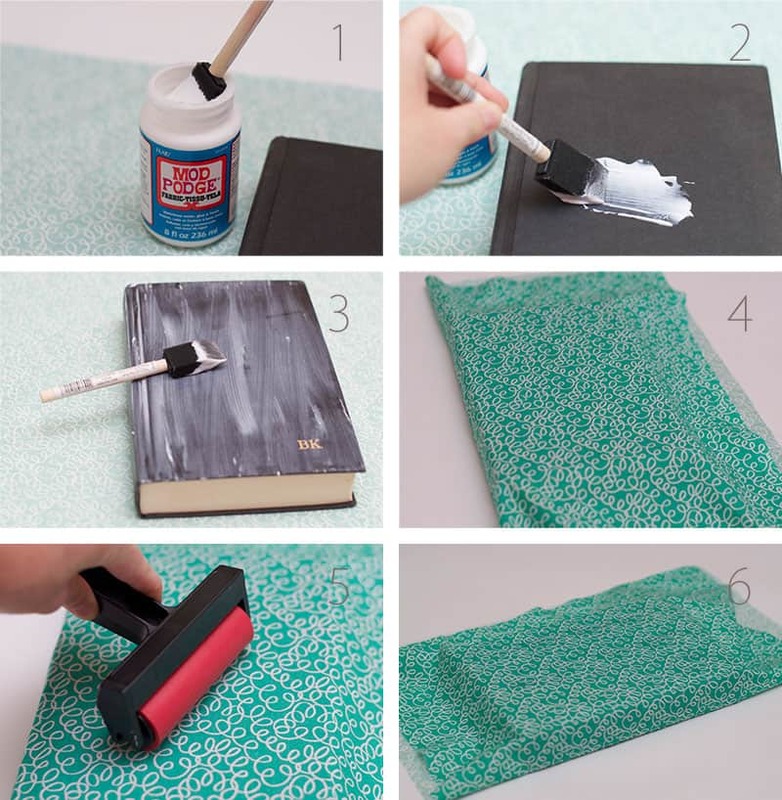 To finish off this craft, add a little Mod Podge to the inside of the book. Fold the sides over and firmly press down. Then fold over the rest of the material (like a present) and Mod Podge into place. My fabric covered books are complete!! I had all four books done in no time. Since I already had the Mod Podge on hand, I just had to spend a couple dollars on some fabric to get this craft done. Pretty cool! These books are going to look great sitting on my nightstand in the bedroom!! 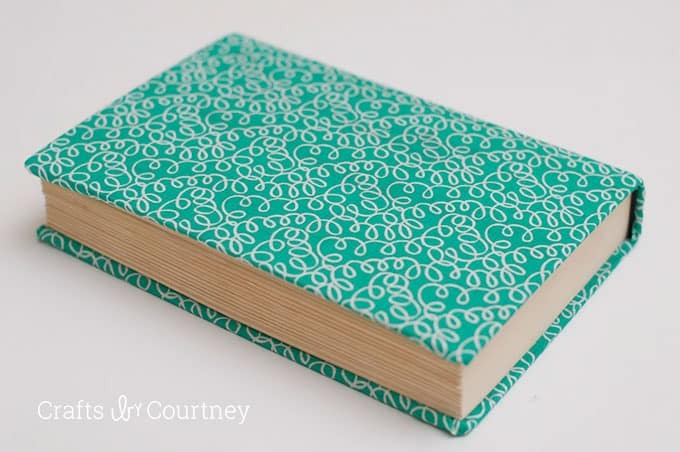 I can't believe how cool these fabric covered books turned out. The only tip I would suggest is getting a little thicker material then I did. On one of the lighter covered books you could see the lettering through the material. But besides that it worked perfectly. 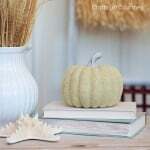 I plan on doing several more of these for my entertainment center next! I hope you loved this craft. 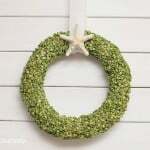 If you'd like to get more craft project ideas and inspiration, be sure to sign up for my newsletter! Get my best ideas, right to your inbox. Great project! 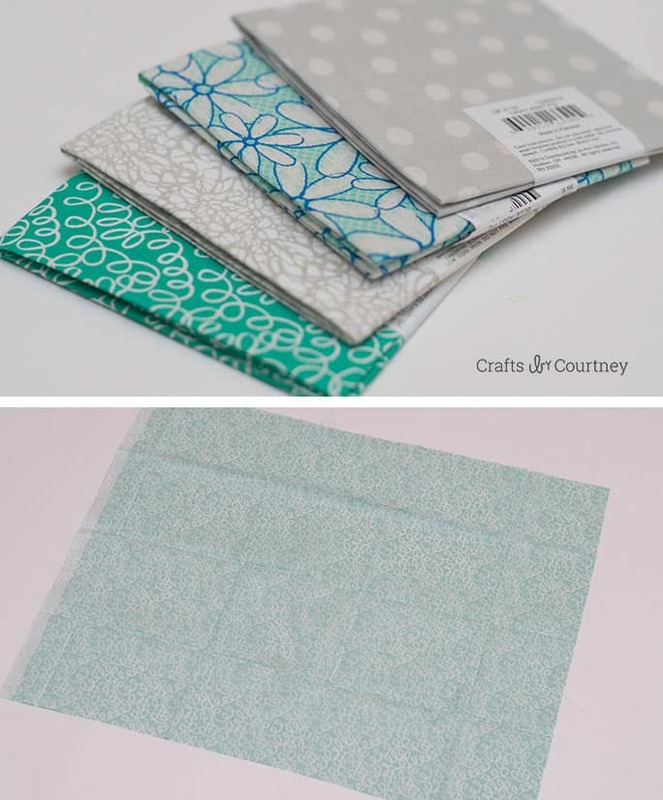 I once used fabric Mod Podge to attach quilting-weight fabric to a mouse pad and had some trouble with the glue coming through the fabric. Did this happen to you? Do you have any tips? Thanks! Hi Emily! I typically prep the fabric first with Mod Podge . . . then I Mod Podge it down and let it dry completely. Even if the glue comes through the fabric, you can wipe it away. If you see that it’s darker in the area that it dried, just cover the entire thing and then use a spray sealer to cover. Why ruin the books? 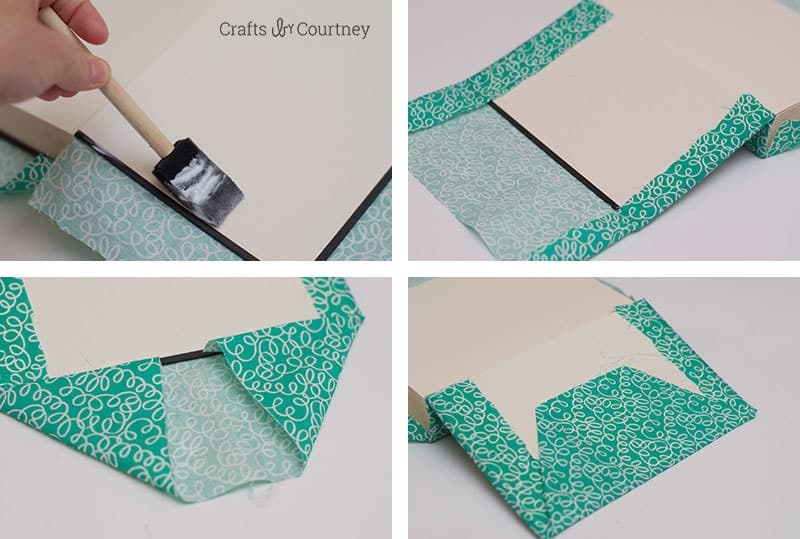 Why not Modpodge paper bag book covers, like we were taught to make to protect school books? That way, you can change them more easily when your decor changes again. 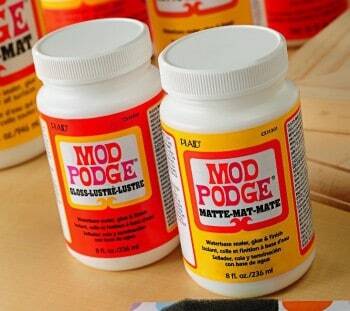 Do you have to use Fabric mod podge or can you use glass mod podge. What else can I use my glass mod podge for:? My son bought it by mistake. 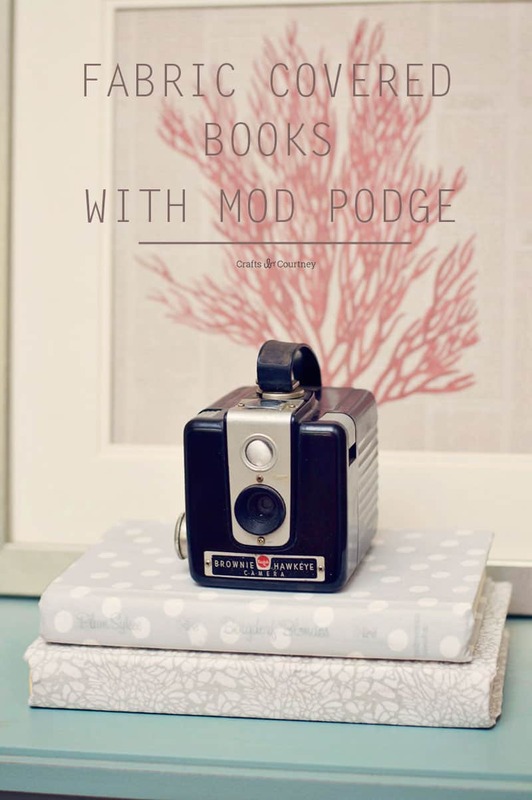 Do you mean the Gloss Mod Podge? You can definitely use that on the books!